John Le Carré’s novels are a treat. His prose is delightful, his characters deep, and his plots compelling. These stories are not pulp action adventures. The conflict is largely internal, psychological, philosophical and internal - making it far more powerful than any gunfight. They’re stories that are fun and exciting to read, yet stay with you long after and make you think long and hard about the world we live in. That said, his novels can be hefty and that can be a real barrier for getting into them. 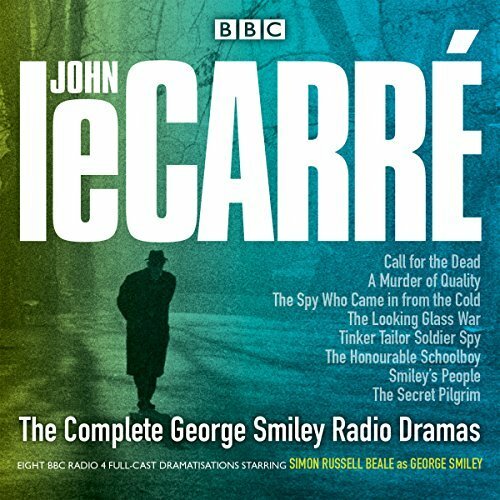 I’ve always loved radio dramas, and on a whim, I picked up the Complete George Smiley Radio Dramas on Audible with one of my credits (George Smiley being one of John Le Carré’s recurring main characters). At the end of the third piece - The Spy Who Came In From The Cold, also my favourite Smiley novel - I suddenly realized these short (couple hours at most), extremely well produced and acted radio dramas were the perfect way to be introduced to a brilliant writer. Whether you’ve never read a John Le Carré or you’re an old fan, try them out. Click for more on The Complete George Smiley Radio Dramas.